Two locations just blocks from the beach, Creative Day Spa has a relaxing, Caribbean atmosphere. Rich accents of bamboo help complete a cozy, island feel. You are invited to experience the ultimate and memorable spa journey. "One must realize that to stay healthy we must take time for ourselves." This intensely hydrating treatment will deeply repair and protect damaged, dry or chemically treated hair up to 80%. Improves shine 35%. Prevents color fade 67%. . Book it on line and save $15 Tell us in your "notes" that you want the $35 web site special price. Book online and receive $10 off a Detoxifying Charcoal Facial when your receive an upgraded pedicure of you choice at regular price. Detoxify and purify your skin with our charcoal facial, Charcoal draws out impurities and toxins from your skin leaving your pores smaller and your skin feeling fresh. This facial is great for oily, acne prone skin or anyone who needs a skin detox. Toxins stick to the activated charcoal, making charcoal a great deep cleanser and detoxifier. It works like a magnet to clear skin of any impurities. Perfect for healing acne breakouts and banishing blackheads, leaving your skin clear and glowing. Book online a Cucumber Melon Pedicure and save $10 when you receive a Cucumber Melon manicure at regular price. 18% gratuity is recommended for all services instead of saying will be included. Experience the natural benefits of coconut cream. Known for it's restorative properties this coconut mask will help re-hydrate your skin from a long day in the sun to the brisk breeze of the winter. With the help of steaming towels the coconut can penetrate your skin to prevent acne and unclog pores. Using the cream of a tropical coconut, a coconut milk mask, salt scrub and steaming hot towels, this pedicure will re hydrate your legs and prevent clogged pores to maintain suntan ready skin. Using the cream of a tropical coconut, a coconut milk mask, and steaming hot towels, this manicure will re-hydrate your arms and hands for a sun-kissed finish. Bring to life the essence of fall with the delicious fragrance of heirloom pumpkin, autumn cinnamon, ginger snap, and whipped vanilla. Cozy up with a nice hot cup of pumpkin spice coffee or an aromatic vanilla chai tea while you indulge yourself in the enchanting scent of cinnamon vanilla pumpkin! Includes steamy hot towels, an invigorating autumnal scrub, a pumpkin spiced mask, and a hydrating vanilla cream massage. Give yourself a sense of brand new skin with this skinsational service! The prefect way to address all skin care needs. Begin with a full body exfoliation followed by a rejuvenating facial treatment for a youthful glow, complete with hot towels and a light massage! A perfect treatment on a hot sunny day! An enticing blend of citrusy pink grapefruit and tangy lemon will leave your legs and feet feeling refreshed and renewed! With high amounts of vitamin C and citric acid, your skin will be smooth and revitalized. The seductively tangy fragrances will liven your senses and transport you to an oasis of relaxation! As you sit in our high powered massage pedicure chair, a treatment of the nails and cuticles will be done for healthier looking feet. Then, an exfoliant derived of pink grapefruit and tangy lemon extracts will help remove all dead skin cells leaving you with flawless skin. A hydrating citrus mask and hot towels will then quench your newly revitalized legs and feet followed by a therapeutic massage. A perfect treatment on a hot summer day! An enticing blend of citrusy pink grapefruit and tangy lemon will leave your hands feeling refreshed and renewed! With high amounts of vitamin C and citric acid, your skin will be smooth and revitalized. The seductively tangy fragrances will liven your senses and transport you to an oasis of relaxation! A treatment of the nails and cuticles is included for healthier looking hands. Then, an exfoliant derived of pink grapefruit and tangy lemon extracts will help remove all dead skin cells leaving you with flawless skin. A hydrating citrus mask and hot towels will then quench your newly revitalized hands and arms followed by a therapeutic massage. 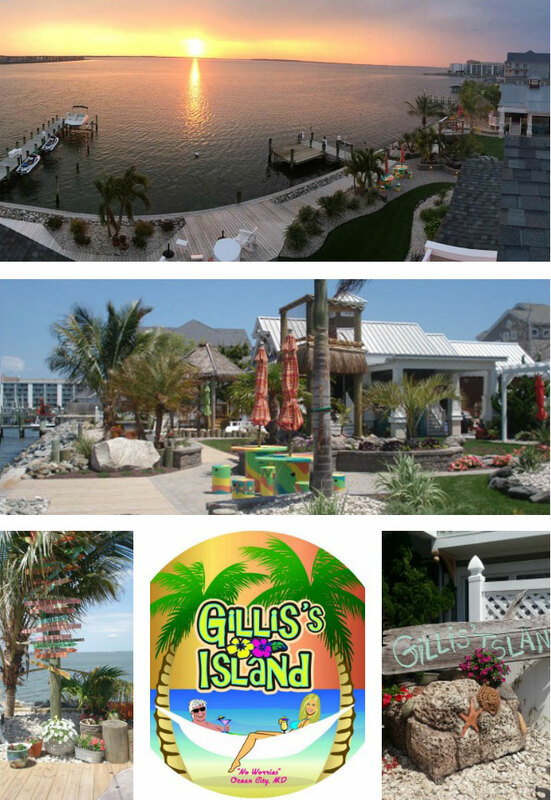 One night stay in the beautiful bay front "Gillis's Island" guest house. Champagne & Hors d'oeuvres welcome reception, fresh flowers and chocolates, couples massage in paradise, continental breakfast, use of bicycles, use of beach chairs, towels & umbrella, use of hot tub, use of kayaks, sunset cocktails & hors d'oeuvres, ( includes one couple only ). Swedish massage or European Facial, Creative manicure & Upgraded Pedicure. Swedish massage or European Facial, Creative manicure & Upgraded Pedicure, Shampoo, Blow-dry & Style. Swedish massage & European Facial, Creative manicure & Upgraded Pedicure, Shampoo, Blow-dry & Style. Any body wrap, European Facial, Creative manicure & Upgraded Pedicure Shampoo, Blow-dry & Style. For Expecting Mothers Only, European Facial, Creative Manicure, Upgraded Pedicure, Shampoo, Blow-dry & Style. An afternoon delight to remember. Beginning together while one partner receives his/her choice of Swedish massage or European Facial, the other receives a Full Body Massage. Then enjoy Upgraded Pedicures and Creative Manicures. 2-1/2 hours. Add a shampoo, blowdry, style for $30. Any body wrap, European Facial, Swedish Massage, Upgraded Pedicure, manicure, Shampoo, Blow-dry & Style. Have your child's Birthday at the spa. This introduction to personal grooming is a great way to celebrate your little one's development. Mini manicures, petite pedicures and mini make up application are included in this package. Complete with a souvenir tiara for the birthday girl. Couples services and Trio Treatments (groups of up to 3 guests) are available in our shared treatment rooms at our 91st. St. Princess Royale Hotel location only. Only a small selection of couples treatments are listed on our site for easy online booking. Any type of facial, body wrap or massage combination can be requested while making an appointment or requesting it "in your notes" while booking online. Trios may not be booked online. You may book a couples treatment and request "in your notes" that you would like a third guest to receive a specific service. We will call you to let you know if we are able to accommodate. 18% gratuity is recommended for all services. Lead Stylists are the elite in their craft and have the largest demand for their time behind the chair. They've put in the time, energy, and education necessary to earn their title. They are phenomenal communicators who are going to deliver advanced hair cutting and coloring techniques that are custom to each guest. At this point, there won't be many hair cutting or hair coloring challenges they haven't faced. They're exceptional professionals who inspire their teammates, and empower their guests to embrace their authenticity! Associate Stylists are competent in performing hair cutting and hair coloring services, and are working on building more confidence as they perfect their skills. At this point it's all about gaining more and more experience behind the chair, accompanied by more intense advanced education. Proteges have completed beauty school, and they've completed our introductory new-hire training program. They've typically been in their career for six to twelve months. They collaborate with elder stylists for every hair color consultation, to ensure the proper formulas and color placement patterns. Following your appointment, your Stylist will send you a brief survey so we are able to gain feedback, and if necessary, give them the additional training they need to produce exceptional experiences for every guest they take care of. Olaplex is a great way to revive and transition your damaged hair without having to do the "big chop". Heat and chemical damage on hair can break off and also cause unsightly frizzes. Many feel that the only answer is to do. The Big Chop (that major haircut you have to get) - but Olaplex is a game changer! We at Creative Day Spa are now able to save inches more than ever before thanks to the Olaplex Stand Alone treatment! If regrowth is more than 1 inch (approximately 8 weeks or greater) more foils, time & product will be required to achieve desired result. The charge will be $160 "Olaplex" is included which dramatically reduces breakage and links broken bonds in the hair during and after chemical services making them stronger than before. Balayage is the "Technique". The word "Balayage" comes from another French word meaning "to sweep". In Balayage, there are dark pieces left on the bottom to create dimension and a more natural look. This technique looks like natural sun-kissed highlights throughout the hair. The transition is more natural and it is less maintenance than an ombre. The word ombre comes from the French word "shadow". Ombre is the actual style. It is the transition of a lighter shade from a darker shade. Ombre hair has your naturally dark roots at the top that slowly transition into a lighter shade towards the ends there are no dark pieces left on the bottom to help keep it natural, just a nice transition between the colors. Cold-pressed marula oil thoroughly hydrates and dramatically smooths and softens dry, coarse hair and adds fullness to fine, limp hair. Time-release MarulaSpheres adhere to the hair shaft and break open every time you brush or touch your hair, releasing fresh bursts of marula throughout the day. Packed with powerful antioxidants, oleic acids, protein and vitamins, this replenishing protective formula delivers intense hydration, seals split ends, prevents damage and provides UV protection. Blow dry not included. Acai Deep Conditioning Masque is a rich and intense conditioning formula that reconstructs, strengthens and smooths the hair by coating each strand with an exclusive Brazilian Super-Nutrient Complex. This masque reconstructs and strengthens the hair infusing each strand with intense hydration. In addition to repairing and fortifying the hair while eliminating frizz it provides UVA/UVB protection promoting shine and guaranteeing the longest lasting smoothing result. This conditioning treatment does not include a blow-dry. A Malibu treatment will remove excess buildup in your hair caused from hard water, chlorine from swimming pools and water softeners. Hard water often contains calcium and iron. Iron is what makes lighter hair take on a coppery or brassy hue. If you are a swimmer or use the pool frequently, chlorine and copper can build up in your hair, causing damage. Copper is what causes light hair to take on a greenish cast. A Malibu treatment will effectively remove this buildup. Hotheads Hair Extensions are human hair, adhesive weft extensions that are applied without the need for tools or heat. They are uniquely designed to lay completely seamless and undetectable in the hair. Manufactured with amazing quality human remy hair with the cuticle intact allows our hair to be reapplied up to 3 times, while still looking and feeling amazing. Clients will get 8 to 10 weeks of wear from each application. Offered in 4 lengths. Wear straight or wavy. Water will activate a slight body wave, which allows them to be worn straight or wavy. Pricing: Starting at $600 Consultation and deposit needed. A. The Brazilian Blowout will last for 10-12 weeks if the AÃ§ai After-Care Maintenance product line is used. The Brazilian Blowout is a cumulative treatment, in that the more you receive it, the healthier the hair will be and the longer the result will last. Are you a CURL LOVER? Are you a STRAIGHT SHOOTER? If you're dreaming of hair that's permanently straight, ask your stylist for anOpti.smooth heat-straightening service with a flat iron. You'll love--Having silky straight hair every day, no styling struggle ever Results last--Permanently It takes--Less time than conventional strighteners; only 3 to 4 hours in the salon depending on your hair length. GO SMOOTH OR STRAIGHT... IT'S UP TO YOU. Throw away your blow dryer, your flat iron, your 27 brushes in assorted sizes. Freedom from unruly curls & frizz is here! Advanced Opti.smooth Technology Makes the Difference. Whether it's cold-smoothing or heat straightening, Opti.Smooth's unique formulations protect your hair every step of the way. Your hair looks beautiful, feels natural, moves like silk. Caring for Your Hair is Easy. To shampoo, condition and style your hair, be sure to use Sleek.look. In 4 steps, this patented Smoothing System keeps humidity locked out, sleek styles locked in. Your hair will stay sensuously smooth and sleek! For the First 48 Hours After Your Opti.smooth Service: If your hair is cold-smoothed - Don't shampoo or get hair wet. If your hair is heat-straightened - Don't shampoo or get hair wet. Don't use clips, braids, pins or put your hair in a ponytail. Q: Will this service damage my hair? A: Opti.smooth's patented cermacide technology and auto-stop action protect hair through every step. Conditioning agents leave it soft and smooth. Just maintain your hair at home with the Sleek.look Smoothing System, and you'll be amazed at the condition and shine. Q: How does the Opti.smooth heat-straightening process work? A: Your hair will be softened with an Opti.smooth Creme then rinsed. Next, it will be blown drty, then flat-ironed in very small sections. After that your hair will be rebonded, rinsed, conditioned and rinsed again. The cold-smoothing process is similar but the main difference is that your hair will not be flat-ironed. Q: When will I need a retouch? A: You can come in for a cold-smoothing retouch when your new growth is 2 inches long. For a heat-straightening retouch, your new growth must be 4 inches long. Your stylist will explain the difference and discuss the options with you. Q: Can I color my hair after it's been smoothed or straightened? A: You can have smoothed or straightened hair and color too (in case of the cold-smoothing service, on the same day!). Just ask your stylist for a Color Sync Demi-Color or Imprints Color Gloss service. A: Starting at $250 | consultation needed. A complete manicure with a natural exfoliant that will remove dead skin cells leaving you with a subtle berry aroma and glowing radiant skin. Then, a strawberry seed oil infused mask will tone and tighten your hands and arms to improve elasticity and generate new skin cells while the hot steamy towels help everything soak in. We then replenish and hydrate by drenching your hands and arms with a strawberry vanilla cream infused with ultra-rich, moisturizing Shea Butter. This natural formula melts into your skin for luxurious fragrance and 24 hours of hydrated skin that will feel noticeably softer. A sweet pineapple extract mask nourishes your skin with a natural honey melon antioxidant. A Signature blend of essential oils effectively nourish helping to hydrate, repair and restore the moisture barrier leaving skin supple and hydrated. This dramatic skin hydrating treatment includes hot towels and a complete manicure. Tempt yourself with this hand treatment like no other. Includes a Creamy milk chocolate warming fondue scrub on your hands and arms. Enriched with sugar, Shea butter plus a unique heat activated extract that warms up on contact. A truly decadent experience that cleanses, softens and soothes tired hands. Includes hot towels & a double chocolate extended hand & arm massage. Like Grandmas home made hot apple pie. A gentle exfolient along with a mask, hydrating gentle massage and hot towels complete this warm comforting treatment. A refreshing, rejuvenating treatment for the hands. Your hands are thoroughly exfoliated with a eucalyptus scrub, softened, and then drenched in a Lavender mint cooling mask. A vigorous hand and arm massage will stimulate circulation and provide newfound energy. A Creative Manicure with a twist of total citrus. Soak in the essence of a tropical grove bath followed by an exfoliate, which is massaged into the Hands and arms. A crystal activator is then massaged until the crystals melt into a serum. Hands are then wrapped in hot towels followed by an extra long luxurious citrus-based massage. A creative manicure which includes a dip in our warm paraffin wax. This treatment is excellent for joint pain, arthritis, dry hands and nails. Now you can say good-bye to chips, smudges, and dry time and say hello to Shellac Hybrid Nail Color! This revolutionary product applies like polish, wears flawlessly for 14 days of high gloss shine; they are hard and do not scratch or smudge. And it is removed in minutes. Dip powder nails are a safe, healthy alternative to traditional acrylics and gel polish. They leave the nail bed healthy and undamaged. Dip powders are durable and come in many colors and offer zero drying time. All of our pedicures are given in our state of the art "Shiatsu massage Jacuzzi Recliners"
Cleanse, tone, and hydrate your legs and feet with our deliciously sweet pedicure. These heart-shaped delicate berries have a characteristic aroma that will leave you feeling like you just walked through a meadow in spring. A natural exfoliant will remove dead skin cells leaving you with a subtle berry aroma and glowing radiant skin. Then, a strawberry seed oil infused mask will tone and tighten your legs and feet to improve elasticity and generate new skin cells while the hot steamy towels help everything soak in. We then replenish and hydrate by drenching your legs and feet with a strawberry vanilla cream infused with ultra-rich, moisturizing Shea Butter. This natural formula melts into your skin for luxurious fragrance and 24 hours of hydrated skin that will feel noticeably softer. This tantalizing treatment captures the feeling of a tropical orchard using Sweet Pineapple & Honey Melon. A juicy Pineapple extract mask nourishes your skin with a natural Honey Melon antioxidant that includes Vitamin A &E which exfoliates rough dry skin. A signature blend of essential oils effectively nourish achy feet helping to hydrate, repair and restore the moisture barrier leaving feet smooth, supple and hydrated. This dramatic skin hydrating treatment includes, hot towels along with a Shea butter massage complete this self-indulgent treatment. Enriched with 100% Pure Natural Hemp Seed Oil extracted from the seeds of the Cannabis Plant serving as one of the best sources of essential fatty acids providing skin with perfect ration of protein, carbohydrates, nutrients, key minerals and fiber. Paraben-Free, Gluten-Free, 100% Vegan, THC_Free. We think of charcoal as the messy ingredient responsible for giving BBQ its smoky flavor, but charcoal could be the next great skin care miracle ingredient! Charcoal is known to absorb 200 times its own weight in impurities, making it an excellent natural and essential ingredient to help purify and deep-clean the skin. Working like a magnet, charcoal draws out bacteria, poisons, chemicals, dirt, and any unwanted micro-particles to the surface of the skin. We start with a black charcoal soak to prep and cleanse the feet, followed by treatment and trimming of the cuticles and calluses. We then apply a charcoal purifying detox scrub leaving the skin polished and smooth. Then a mask infused with charcoal coats the legs and feet with a luxurious formula that replenishes the skin with nourishing moisturizers followed by hot towels. A relaxing and calming massage finalizes the treatment using a specially formulated black charcoal emollient crÃ¨me to replenish and hydrate the skin. Now, achieving smooth, flawless, and radiant skin is just a rinse away! Although they look deliciously real, these cupcakes aren't edible. Our cupcakes will turn your pedicure bath into a sweet experience. Our gourmet bath treats are made of a few simple natural ingredients, along with essential oils for aromatherapy. They soften the skin, lock in moisture, reduce puffiness, remove toxins and leave you sugary sweet. They fizz and froth when we drop them into your bath and create a luxurious pedicure experience. Includes a mask, hot towels and a sweet massage with cake flavored cream. Cool off this season with a refreshing seasonal pedicure. a Marine-Cucumber Mask will cool you down while aloe helps soothe sun-parched skin. Feet and legs are exfoliated, moisturized, and wrapped in hot towels. Cuticles and nails are meticulously groomed and colored to complement your "cool" style. Often overlooked and frequently neglected, your feet certainly deserve some attention. Treat your toes, feet and legs to a well-deserved specialty. Begin with a relaxing soak in our "Shiatsu massage Jacuzzi Recliner". Includes nail and cuticle trimming, shaping, exfoliating salt crystals. a relaxing foot and leg massage, and polish. Prepare to have sandal-worthy toes in no time! (Recommended monthly). Mother & child sit in the same pedicure chair, soaking their royal tootsies together. While Queen mother gets her complete pedicure, little one gets his/her feet massaged, toenails shaped & polished. This luxurious bonding experience and introduction to prince/princess world comes complete with a souvenir crown. Only for a Prince or a Princess 6 Years or younger. Relax... Give way to our Hot Stone Pedicure. Just like our creative pedicure feet are soaked in our Shiatsu Jacuzzi Recliner, nails and cuticles trimmed, shaping, exfoliating salt crystals, then the therapy begins. Relax while the heat from the lava stone massage penetrates deep into the muscle giving you a true sense of peacefulness. A refreshing, rejuvenating treatment for the relief of tired, achy feet and legs. Your feet are thoroughly exfoliated with a eucalyptus scrub, softened, then drenched in a Lavender mint cooling mask. Hot towels and a vigorous foot and leg massage will stimulate circulation and provide newfound energy. A Creative Pedicure plus the rejuvenating effects of the ocean, utilizes a sea salt scrub with, hot towels and a Marine Seaweed Mask. Algae contain restorative qualities which help calm inflammation and irritation. Absolutely Refreshing! A Creative Pedicure with a twist of total citrus. Soak in the essence of a tropical grove bath followed by a citrus exfoliate, which is massaged into the feet and legs. Feet are then wrapped in hot towels followed by a citric mask and an extra long luxurious citrus-based massage. A Creative Pedicure with Grandma's Secret Recipe. These special ingredients were blended together into a 100% gentle natural exfoliate to renew skin cells and restore moisture. Once the feet and legs are sloughed and rinsed, a layer of warm mud is brushed on and then you are baked in hot towels while toxins are purged.An extra long massage with a milk and honey moisturizer finishes off this pampering experience. Utilizes natural peppermint essential oil to deliver a brisk cooling sensation as rich emollients, exotic fruit extracts and nourishing butters work to smooth, hydrate, and refine heels and toe the energizing properties will leave your feet felling soft, rested and refreshed pampered with a cooling peppermint scrub, peel away mask and topped off with an invigoration lotion. Natural and intensely nourishing, it's the perfect choice for feet in need of calming. With its high nutritional content and refreshing scent, more and more people are touting grapefruit as a skin care secret. The delicious pink fruit is rich in antioxidants and vitamins, not only is it great to eat but a must have in your daily skin care regimen! The high amounts of citric acid help exfoliate unwanted dead skin, clear clogged pores, and boost collagen for radiantly smooth skin. Aiding in the renewal of skin cells, improving pigmentation, and brightening overall skin tone, grapefruit is essential for healthy looking skin! One of the most vibrant and lustrous fruits, these juicy berries have much more to offer beyond sweetness and flavor. Strawberries are proven beauty enhancers that can work wonders for your skin. The acidic nature of this fruit enables it to remove excess unwanted oil in the skin, as well as inhibit the growth of those notorious blackheads, helping it stay refreshed and youthful. They are rich in anti-oxidants like ellagic acid that aid and prevent collagen destruction, fight against UV damage, and prevent wrinkles from forming, thereby providing a healthy supple look and feel to your skin. The Malaysian star fruit facial is specially formulated for delicate skin showing signs of sun damage, acne prone skin, and skin that appears red or has a dull complexion. Star Fruit is rich in potassium, vitamin C and antioxidants containing a high concentration of the condensed tannins which are beneficial in many areas of health because of their ability to bond with collagen, promoting youthful skin, cell health, elasticity, and flexibility. The high volume of Vitamin C protects against pollution, fine lines, wrinkles and sun damage. The juicy sweet and sour start fruit also contains vitamin A which reduces the size of your oil producing glands, removes toxins and redness and protects from acne. It also protects you from the sun with SPF 30. We use a blend of tropical citrus fruits containing large amounts of vitamin c, known for strengthening the immune system and promoting collagen production. A citrusy rejuvenating masque is in this treatment to help tone skin, aid detoxification, digestion and circulation. Your visit to the Tropical Grove includes warm steaming towels and a relaxing massage of the face, neck, de'collete', shoulders, arms, and hands. Indulge your skin in antioxidants which help to prevent cell damage that causes premature aging and is perfect for energizing and strengthening the skin. A papaya pineapple blend masque is applied to help speed up cell turnover while improving discoloration, which also prevents sagging. Your Island escape awaits and also includes warm steaming towels and a relaxing massage of the face, neck, de'collete', shoulders, arms, and hands. Aloe Vera is highly regarded as a miracle or wonder plant for its healing properties. This facial is perfect for skin that has been exposed to the sun after a long day at the beach. A cool aloe masque will soothe, heal and rejuvenate your skin keeping it hydrated and refreshed. It also has anti-inflammatory properties which assist in reducing acne and blemishes. Your OC sun relief includes warm steaming towels and a relaxing massage of the face, neck, de'collete', shoulders, arms, and hands. This facial will make your skin feel flawless by using a specially formulated cucumber extract masque. Cucumbers help reduce swelling, skin irritations, and promote revitalization. Your paradise awaits, and includes warm steaming towels and a relaxing massage of the face, neck, de'collete', shoulders, arms, and hands. "The Radical Answer for Sensitive Skin" Finally... a solution to this serious condition! This alleviating treatment brings visual relief and results to dilated capillaries, congestion, blotchiness and irritability, by delivering highly comforting and healing ingredients such as Green Tea, Chamomile and Licorice. Skin surfaces fully decongested, soothed and hydrated. This tantalizing treatment increases circulation and refreshes pores. After an Ultimate European Facial, a soothing serum is applied evenly over the skin, the mask stiffens as it dries and comes of entirely in one piece, leaving a radiant complexion and a stunning glow. Includes hot mitts and a massage on the face, neck, arms, hands, feet, shoulders, and décolleté. Freshly stirred, our pomegranate martini is a skin-loving cocktail that delivers radiant skin. The ancient Greeks believed that the pomegranate was a powerful fruit, and today's scientists have determined that the pomegranate has powerful and valuable properties when used in beauty treatments. This amazing treatment instantly improves texture and brings incredible results visible after the first session. It produces collagen and elastin in the skin and is designed to rapidly exfoliate and increase cell renewal. This treatment is effective to diminish acne and scares. The skin is refined and toned; the deep and fine lines are smoothed. Includes a European Facial, for maximum results a series of six is recommended. Referred to as 'The Apple of the Tropics' the mango contains many beneficial ingredients for the skin. A combination of natural alpha-hydroxy acids work together to exfoliate and rejuvenate dehydrated skin. Along with its aromatherapy benefits the Mango facial is the scintillating facial for Spring and Summer. Mango facial is the scintillating facial for Spring and Summer. Includes deep cleansing, mild exfoliation, gentle mango scrub on hands and feet, massage, hot towels and masque. A facial with the extravagance of a chocolate mousse masque restores vigor and freshness to skins lost vitality. Strengthens skin to resist damage from over aggressive treatments: harsh peels, laser procedures, acneic inflammation and sunburn. It also preserves the liveliness of mature skin cells leaving skin vivacious, nourished and toned. Includes deep cleansing, gentle chocolate scrub on hands and feet , massage, hot towels and masque. A European deep cleansing bio-active facial with the added luxuries of toasty warm mitts and an extra long massage on the hands, arms, feet, and de'collete'. Starting with a botanical deep cleansing that removes all impurities and expired cells. Your personalized complex of bio-active pure ingredients is applied to treat the skin in-depth. Includes a specially formulated masque, warm steaming towels and a relaxing massage of the face, neck, de'collete', shoulders, arms, and hands. A bio-active facial designed to relax, nourish, and deeply cleanse a mans skin. A facial for the back. A deep cleansing that pumps up all impurities and expired cells. A confident back for the beach. An introduction to the European deep cleansing facial. This includes deep pore cleansing and an individualized masque. A mini facial designed for youthful skin that is troubled. Includes a thorough analysis cleansing and extracting if necessary. Effective products will be pre-scribed to clear existing imperfections. Acts deep in the skin's surface to restore essential moisture from within while reducing swelling and shadows around the eyes. Helps to repair and smooth fine lines. 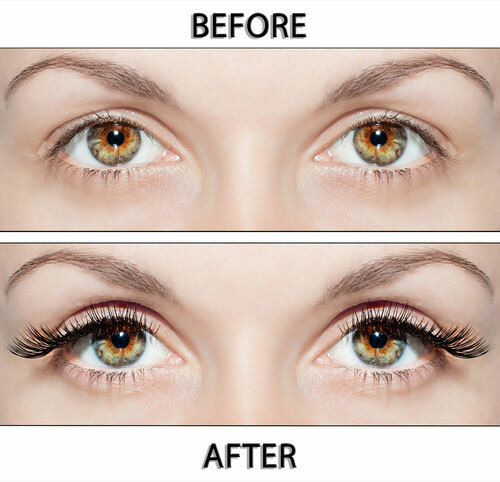 A lash enhancement treatment that fills eyelashes with keratin, vitamins and oils and gives them a healthy look. It turns the eyelashes upwards and adds depth to give them length, height, volume, and the appearance of having longer and thicker lashes. This treatment also gives lashes UV protection and help them remain shiny! Last six to eight weeks. Phone consultation needed. An additional application with Lash Lift. It is a hydrolyzed keratin mask that strengthens and nourish natural lash with Argan oil, proteins, keratin and vitamins. The nourishing mask fills the natural lash with keratin hence making natural lashes thicker, fuller and longer. They will appear longer and curled without damaging them. Eyelash hair consists 96% of Keratin. Lash Botox consists mostly of hydrolyzed keratin and collagen- natural nourisher that makes the lashes healthier and stronger! Lash Botox increase volume of eyelashes by 40%! Eyelash extensions are individual synthetic lashes of different lengths, curls and thickness applied one by one to each individual natural lash as an "extension" of your natural lash. Eyelash extensions are not strip lashes, clusters or flares. Lash extensions are meant to lengthen, thicken and enhance the natural lash line without causing pain, discomfort or lash loss when applied properly. Lash extensions last as long as the natural life cycle of your own lashes, which is anywhere from 2-4 weeks. The life of your lashes also depends on your beauty routine, the conditions in which you live and how you take care of them. Proper aftercare is the key to longevity of your extensions. Touch-ups every 2-3 weeks is required to maintain your new lashes. How do I choose what look I want? Eyelash extensions are available in many different lengths, curls and volume. Our lash technician will help you choice your customized look. Can I still wear eye makeup and mascara with my lash extensions? Yes, eye shadow and and eyeliner can be applied as long as it is oil-free and removed daily. Mascara that is specifically formulated for lash extensions can be applied to the tips of the extensions. Keep in mind using eye makeup and mascara may shorten the life of your lashes. What do I need to do in preparation for my appointment? Please arrive to your appointment with no makeup around the eye area. When removing your makeup use mild, oil-free cleanser and avoid any type of oil based products. Your lashes must be clean and free of any products for the lash adhesive to form a proper bond between your lashes and the lash extensions. Do not get lashes wet for the first 24 hours. Do not use oil-based eye products, creams or waterproof mascara. Be very careful when removing makeup around the eyes, we recommend using cotton swabs. Do not perm, tint, or use an eyelash curler. Be careful to avoid pulling extensions or rubbing eyes. To extend the life of your lashes, please schedule touch-ups every 2-3 weeks. A fine mist of tanning solution is evenly applied all over your body. The result is a perfectly smooth and natural looking tan. It is safe and healthier than baking in the sun. It lasts approximately one week. It is great for weddings, formals or before vacations. Detoxify and purify your skin with our warm charcoal mask applied on your back, cured and removed with hot towels. Charcoal draws out impurities and toxins from your skin leaving your pores smaller and your skin feeling fresh. This detoxifying mask is great for oily, acne prone skin or anyone who needs a skin detox. Toxins stick to the activated charcoal, making charcoal a great deep cleanser and detoxifier. It works like a magnet to clear skin of any impurities. Perfect for healing acne breakouts and banishing blackheads, leaving your skin clear and glowing. Rejuvenate with this massage of the neck, back, shoulders and scalp, followed by a leg massage using a combination of hot and cold stones. Surrender yourself completely while two massage therapists simultaneously massage you. One will massage your upper body, the other will concentrate on your lower portion. This technique is designed to penetrate and relax the deeper layers of muscle. This type of massage aids in the relief of tough knots and extreme muscle tension. Get stoned at the beach and get your life in order. An ancient technique in massage using high energy lava stones. This unique approach gives you the feeling of deep relaxation along with a sense of wellness by balancing the mind, body and spirit. This exotic treatment involving Bamboo as an extension of the therapist's fingers is an experience you'll not soon forget! The sticks are warmed to quickly penetrate and relax muscles. A variety of movements drawing from Swedish and deep tissue dissolve knots relive tension and stimulate the flow of blood and lymph, leaving you relaxed and revitalized. Using handcrafted tools made of 100% bamboo, your therapist will knead, roll and tap bamboo sticks along your body, freeing your muscles of tension and stimulating circulation. Your therapist can easily adjust pressure according to your personal level of comfort- from blissful relaxation to therapeutic deep tissue massage. Used in China for more than 5000 years Bamboo has many wonderful properties and is used in traditional Chinese medicine. For the expecting or new mother. This massage ensures the utmost care and comfort for the mother and child. Stimulates blood circulation, reduces stress on tired legs and reduces lower back tension due to pregnancy weight. Using aromatic essences extracted from nature along with long sweeping strokes, kneading, friction and pressure. Used primarily for full body sessions: promotes general relaxation, improves circulation, relieves stress and tension and restores harmony. Swedish technique concentrating on localized areas needing special attention. Eliminates tension held in the shoulders and head. Excellent quick stress reliever prior to any surface. A seated massage focusing on the back, neck and scalp, fully clothed in a specially designed chair. This is an efficient way of relieving stress and promote relaxation on the go. This service is performed in a public area. Promotes relaxation, improves circulation, relieves pain, stress, tension headaches, releases energy flow throughout the body and encourages overall healing. This service is performed on the ears to alleviate pain and pressure associated with sinusitis, earaches, wax build up, swimmers ear, middle ear infection and minor hearing impairments. 18% gratuity is recommended for all services. Renew your skin for a beautiful radiant glow. With the warm sunny season approaching, what better way to bring out those summer clothes than with beautiful new skin? Strawberries are an amazing fruit that naturally contain alpha-hydroxy acid, which is an important substance that helps eliminate dead skin cells and cleanses the skin in the process. These heart-shaped berries produce a natural photo protective effect that works against UV damage helping skin to feel nourished and brand new. We begin with a gentle exfoliation followed by a luxurious ultra-rich strawberry and vanilla cream effleurage that will melt into your skin leaving you with indulgent hydration all day long. Not to exclude an invigorating scalp and temple massage. Subtle key notes of bourbon vanilla, garden strawberry, and a hint of pink jasmine will leave you feeling tranquil and serene. This tranquil treatment begins with an exfoliation, followed by a luxurious wrap drenched in pure, warm, virgin Coconut Oil. While soaking in the warmth of the wrap, you will experience a calming scalp and temple massage, followed by a tantalizing all over Coconut oil effleurage leaving you silky smooth, moisturized, and relaxed. A layer of coconut oil covers your skin, soothing you, and providing your skin with an intense moisturized new life. Coconut oil improves the quality and appearance of your skin while providing an extra glow! Coconut is a powerful antioxidant. It nourishes all skin types, removes free radicals and increases antioxidants. This tranquil treatment begins with an exfoliation, followed by a luxurious wrap drenched in pure, warm Shea nut butter. While soaking in the warmth of the wrap, you will experience a calming scalp and temple massage, followed by a tantalizing all over Body Butter effleurage leaving you silky smooth, moisturized, and relaxed. Shea butter helps restore elasticity, reduce blemishes, scarring and stretch marks, and offers intense hydration for the entire body. (Service includes an exfoliating glove for to take home.) The Shea Nut Trees grow naturally in the grasslands of west and central Africa and does not need irrigation, fertilizer, or pesticides. Shea Butter has been used for centuries in Africa for its moisturizing and healing properties, where it has been used to protect and condition skin, which have been damaged, by the sun and wind. Shea Butter is naturally rich in Vitamins A, E, and E, as well as a number of other vitamins and minerals. Vitamins A and E help to soothe, hydrate, and balance the skin. They also provide skin collagen, which assists with wrinkles and other signs of aging. Vitamin E contains essential fatty acids, and helps protect and revitalize damaged skin and hair. Shea Butter is an intense moisturizer for dry skin, and revitalizes dull or dry skin on the body or scalp. It promotes skin renewal, increases circulation, and accelerates wound healing. Most commonly known for its relaxing effects on the body, Lavender is the most used and versatile essential oil in the world. Ancient texts tell us that healing & calming properties of lavender have been used to reduces anxiety and emotional stress for over 2,500 years. Lavender has been beneficial in healing wounds & bug bites, improve sleep and alleviate headaches. This calming wrap exfoliates expired skin cells and hydrates the skin with a tantalizing effleurage of the scalp and body leaving you silky smooth, moisturized and relaxed. Cacao boosts brain levels of serotonin, the feel good brain chemical. When women are experiencing PMS serotonin levels drop dramatically. The benefits of cacao are proven to boost the brain levels of calming hormones and restore feelings of well-being. Antioxidants found in cacao belong to the same group of antioxidants as green tea and red wine. These anthocyanins protect our cells from premature oxidation or destruction and can keep us looking and feeling younger longer. After gentle exfoliation using chocolate oil a chocolate cream is applied to the skin then cocooned in a blanket. A relaxing scalp, temple & body massage will ease muscle fatigue resulting in silky smooth skin. Apart from consumption, wild oats have an important role to play in skincare. They were used as early as 2000 BC by the Egyptians and Arabs to beautify their skins. Oat baths were largely used by the ancient Greeks and Romans for healing skin ailments. Oatmeal contains 18 different amino acids, which are essential to healthy skin. Amino acids act as building blocks for the body, helping to rebuild tissue and promote healing. Your skin can absorb amino acids from oatmeal making it an ideal ingredient to help heal blemishes, repair damaged skin, alleviate rashes and as well as sunburn and other skin damage. After a gentle exfoliation you will be relaxed in a warm oatmeal wrap while receiving a scalp and temple massage. Afterwards a hydrating body effleurage will leave you velvety soft. Natural pumpkin offers more that 100 nutrients and contains natural acids and anti-oxidants. This treatment contains powerful healing qualities through cleansing and toning as whipped pumpkin is applied and allowed to penetrate. This energizing and detoxifying treatment uses a natural sugar exfoliate to gently remove expired skin cells The skin is then nourished and conditioned with a vitamin C enzyme mud mask which purges toxins. Finishing with a hydrating, calming gentle effleurage. Stress and environmental pollution are innate in modern life. Lacking Vitality? Feeling Hyperactive? Fatigue? Exhaustion? This marine treatment will recharge your body with the oceans beneficial elements ( seaweed & sea salts ). It draws out impurities and provides deep cleansing through natural elimination of toxins. This empowering and refreshing treatment uses natural herbs to target your individual needs: Peppermint can helps combat mental fatigue and nervous stress, aids in digestion colds and coughs. Spearmint leaf helps headaches, fatigue and exhaustion. Basil stimulates the brain and aids with depression. Marjoram helps relieve insomnia, grief, anxiety tension and migraines. Rose petals help lift spirits, regulate moods & stress. Rosemary enhances circulation & eases muscle stiffness & aches. Lavender re-establishes ones balanced, harmonious natural state. This therapeutic body scrub opens nasal passages, increases blood circulation, oxygen intake and exfoliates expired skin cells while remineralizing and softening the Skin followed by a hydrating body effleurage. Offer for military personnel only please. Please show military ID when service is rendered. Brides... Tell us your proposal story. If your story is one of the top 10 selected you will be entered into a drawing to win a spa service. All story's will be considered, regardless of how long ago it may have been. The top choices will be added to our website for everyone to enjoy. Submit your story on facebook. Congratulations on your engagement and upcoming wedding. You've probably already made many decisions for the important details of your wedding day. It is now time for the most important thing...YOU. With engagement parties, rehearsal dinners and your wedding day just around the corner, you must take every measure to ensure you look and feel spectacular! Be sure to begin with a French Manicure and Upgraded Spa French Pedicure which will last through your honeymoon getaway. A deep cleansing European Facial with a flawless Make-up Application for those close portraits is a must. A Body Treatment will slough away your expired skin cells leaving your skin velvety soft and more adequately able to hold a tan. The Airbrush Tan is very popular today. It is a safe, customized tan for each body type. Many people are choosing this much healthier alternative to the sun. It is conditioning to the skin, very natural looking and does not cause skin cancer. A Full Swedish Body Massage a few days prior to the big day will relax away those pre-wedding jitters. Your Hair will be immortalized in family photo albums. It needs to be comfortable, durable, delicate and beautiful. A practice session is highly recommended. Includes the eight services listed above and lunch. At Creative Day Spa, we want to be a part of making your special day the most enjoyable and memorable day of your life. We believe you should leave no stone-unturned form head to toe. We have packages for all of your needs or we will customize the day of your dreams. We will gladly provide a complimentary tray of fruits, crackers and cheeses along with mimosas, beer, wine, and soft drinks also at no charge for you and your bridal party. We understand that "life happens" and that at times it is necessary to change an appointment. Our appointments are perishable items and when booked, are held exclusively for you. We do not double-book our clients. Because of this, we ask your understanding and cooperation with our cancellation policy. Please respect our scheduling by keeping appointments if possible and providing a minimum of 2 hours notice when canceling or rescheduling appointments. Because your appointments are guaranteed reservations reserved for you [and your service provider has committed their time for this appointment], full payment is required for no shows and cancellations in less than 2 hours. We will make every attempt to fill your appointment slot. If we are able to fill your appointment with another client, we will not charge the fee. You've probably already made many decisions for the important details of your wedding day. It is now time for the most important thing...YOU. With engagement parties, rehearsal dinners and your wedding day just around the corner, you must take every measure to ensure you look and feel spectacular! Click here to view our 'bride to be' package details. My friend and I had a relaxing, wonderful experience on a rainy day. I had a gel mani. My friend had a hot stone pedicure. This Spa is now our go to place. So enjoyable! I had the pleasure of having a manicure . I will have trouble going home to my spa .The staff are the best , professional and lovely people.lana was my manicurist and does a beautiful job and makes you feel beautiful. Please leave a review for us on spaFinder. We know "YOU" are the most important person in our business. Thank you for your patronage, referrals and loyalty we owe it all to you, our faithful guests. To show our appreciation, we have created a Loyalty program with an automatic enrollment. To reward you for your loyalty to Creative Day Spa you will earn points with every visit. You can use those points on future services. Since there are no cards, forms or paperwork involved, it's savings, made simple. All we require is an email address and phone number. How do you earn points and what are they worth? This program was designed for you. It is our way of thanking you for your continued loyalty. We value your business and want to reward you through our loyalty program. An active email address and phone number is required to redeem points. How do you redeem points? Services redeemed with loyalty points will be performed by salon selected service providers only and may not be booked online. Like the products we use at Creative Day Spa? Come shop our availble products online and take your spa experience home. Give the perfect gift for any occasion, a gift card from Creative Day Spa. Everyone enjoys a day at the spa. We are always looking for experience, highly motivated individuals who are interested in furthering their career opportunites.